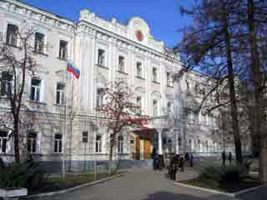 The Razan Pedagogical State University named after S.A. Esenin – one of the oldest Universities of the centre of Russia. The University was founded in December 1915. The University provides education of high standards which enables its students to benefit from the whole range of expertise and knowledge of the Teaching Staff and achieve competence in their chosen field of Pedagogic and Education. International Department of Ryazan State Pedagogical University was founded in 2000 with the aim to integrate the University into the world educational community, develop international cooperation and initiate collaborative research. · finding necessary contacts within University for prospective international scientific cooperation (including bi- / multilateral grant-writing). For full-time students teaching is conducted in Russian. There is no Russian language proficiency test required. There are no Russian support courses provided. In case, when a foreign student requires any, such a course can be developed and held to fit their personal need for additional charge. Curricula developed for foreign students according to their needs (especially the Russian language ones) can be taught in Russian, English, German, and French. · The Department of Physical culture and sport. · The Department of Pedagogic and Psihology. · The Department of Sociology, Economics and Management. · The Department of Geography. · The Department of Russian language and Literature. · The Department of History and International relations. · The Department of Physics and Mathematics. · The Department of Foreign languages.